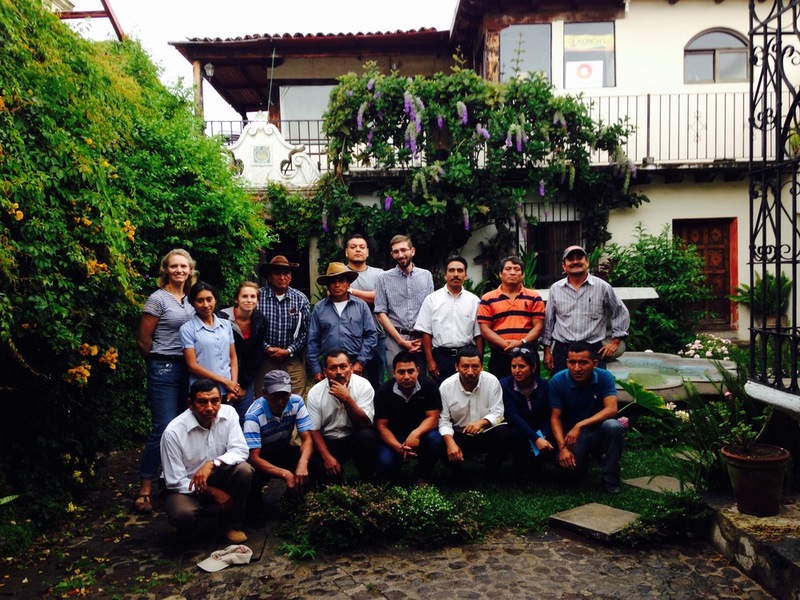 On Wednesday, August 12, De la Gente hosted the annual meeting of partner cooperatives. Twelve representatives from five cooperatives attended. In the morning, farmers listened to an overview of DLG and then participated in a field visit to review dry milling methods and other agricultural practices. After a group lunch, we ran a blind cupping of coffee from five co-ops with a walk-through of cupping procedure and why it's important. This was the first time many of our partners were able to partake in a formal tasting. That was followed by a presentation on the basics of commercialization and questions on the business details of selling coffee as a cooperative. 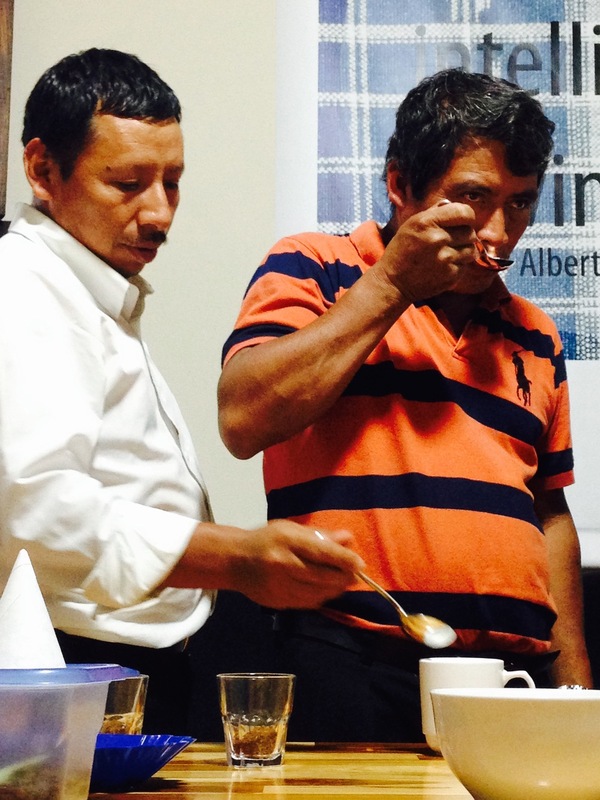 On August 13 and 14, the producers attended the National Coffee Congress, organized by Anacafe, the national governing body of coffee in Guatemala. The event was a chance for DLG staff and farmers to exchange ideas about the coffee industry with various stakeholders. Representatives from the five different cooperatives we work with came to participate and learn. It was a unique opportunity to connect with a wide-range of people and listen to various topics from organic agriculture, roasting techniques to climate change.